On March 28, 1956, the Italian Associazione Nazionale Mutilati ed Invalidi Civili (ANMIC) was founded by Alvido Lambrilli in Taranto, a city in the southern Italian region of Apulia. 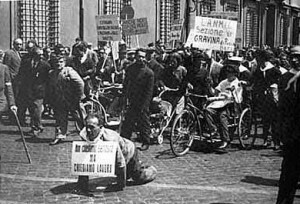 His goal was to unify the many small unions all over Italy to form a single, large association in order to better represent and protect the interests of disabled and invalid civilians. In a very short period, ANMIC became a national movement and was able to win over 575,000 members from all over Italy. The association has denounced the terribleconditions of the invalid civilians to the highest authorities in Rome. 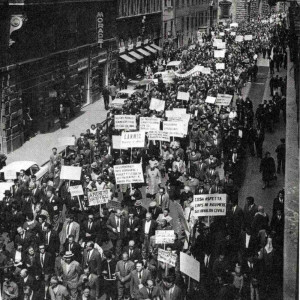 Thanks to countless meetings, congress, events, and the first Pain March (Prima Marcia del Dolore, 1961) in Rome, where 30,000 people took part, both the public and legislators were made aware of the complex problems of civil disability. Thanks to the public relations of ANMIC, invalid civilians were recognised as a category that deserves protection, and the first requests were implemented, e.g. 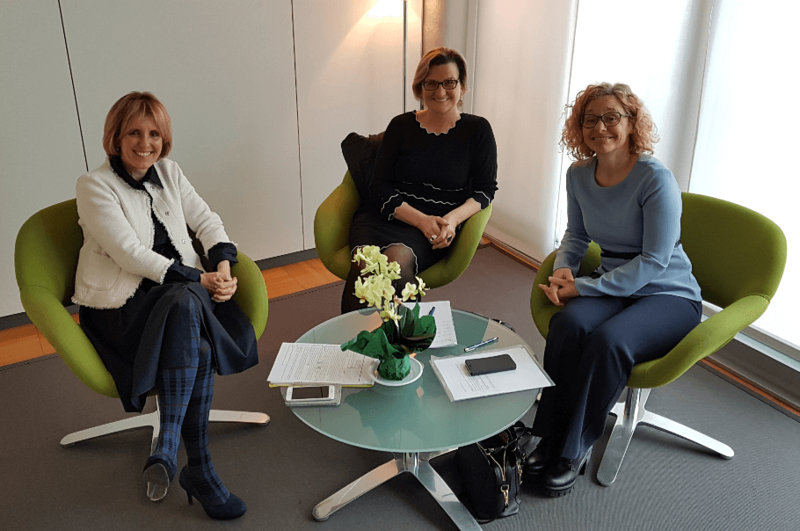 the establishment of a medical commission for the determination of civil disability. In 1962, ANMIC achieved the adoption of a state law at parliamentary level, which stipulated the mandatory placement of invalid civilians in public and private institutions for the first time. The prerequisite for this was the classification of the individual civil invalidity, which was determined by a provincial medical commission. Then, as now, ANMIC was represented with its own doctor in any medical commission. Two years later there were 192,000 pending applications for recognition and only 22,000 classifications were carried out by the medical commissions. Due to other deficiencies and because several promises were not implemented, in 1964, the second Pain March (Seconda Marcia del Dolore) was organised to march to the Parliament in Rome, in which 50,000 woman and men took part. In 1965, more than 700,000 members supported ANMIC and made it a strong, national association which was able to enforce additional laws for the protection of disabled and invalid civilians. Finally, ANMIC was recognised under state law n. 458 on April 23, 1965 (and decreed by the President on December 23, 1978) as the only legally recognised advocacy for invalid civilians. 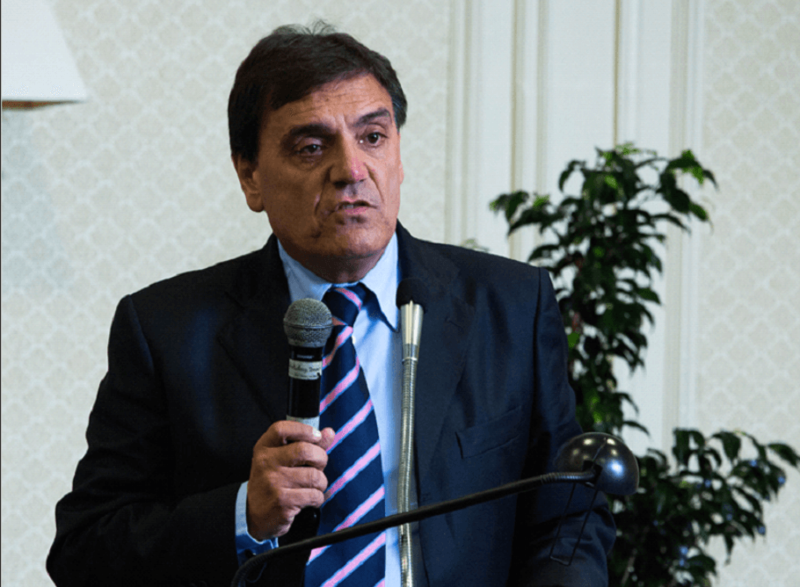 Since then, ANMIC has successfully fought for their rights with a total of 104 branches in Italy. Since 1968, the Association for Invalid Civilians (ANMIC South Tyrol) operates as an autonomous branch of the National ANMIC in South Tyrol and is registered in the official register for non-profit organisations of the Autonomous Province of Bolzano under Nr. 40/01/01 from August 23, 1994. Our more than 5,700 members in South Tyrol make us a strong advocacy and provide us with the strength and legitimacy to fight for special rights and concessions on a provincial level.